Vanishing sliding glass doors on each side of house that creates open living, and direct views of Lani, and neighboring islands. 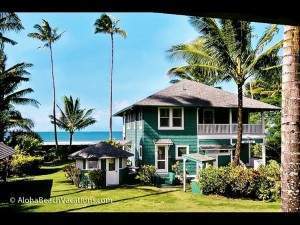 Hale Kamaka is an incredible vacation villa made from Hawaiian dreams. This seafront estate is beautifully designed with a fusion of Polynesian and modern contemporary elements that cannot help influencing ideas of relocating to the Hawaiian Islands. 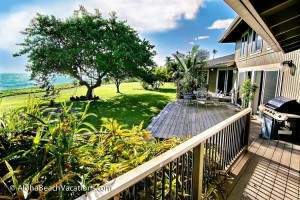 This is an ideal vacation villa on Maui, with endless possibilities just beckoning for your presence. Enjoy spacious living with a total of 3 bedrooms and 2 bathrooms, including a King Master suite, a Queen suite and 4 Twin beds. 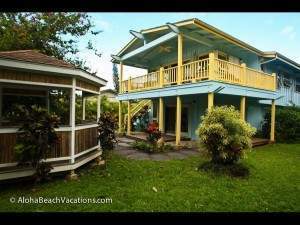 Hale Kamaka is a perfect home for a family with children, or a multifamily vacation, with the ability to more than comfortably accommodate up to 8 guests. This island-style retreat is a center for fun, adventure and relaxation. Enjoy lounging by the lagoon style pool with a waterfall feature, or relaxing into the late hours in a water’s edge hot tub under the stars. Access family friendly West Maui beaches in ease, and spend a day snorkeling or taking surfing lessons. Devise healthy meals for your family with fresh island ingredients at your own gourmet kitchen, outfitted with only the best high-end Sub-Zero appliances. 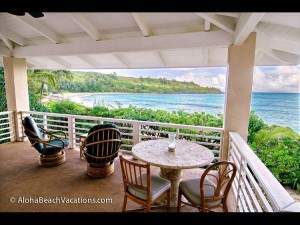 Enjoy expansive views of the outer islands and the Pacific Ocean from all open doorways and windows, or chill-out for the night watching a movie on the Hi-Def TV, accompanied by a DVD player, cable TV, and wireless internet. This home is gated, extremely private, but still within walking distance to action, adventure, shopping and entertainment in nearby Lahaina Town.